This stunning canvas features the Prayer For The Fallen artwork by the amazing Anne Stokes. 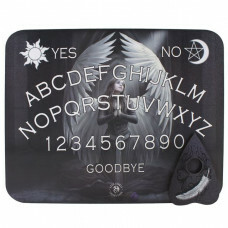 An Anne Stokes Prayer For The Fallen Spirit Board. The back of the board features a sentimental poem..